To create an expansive feel in this smaller space, our designers first opened up the bathroom space with a fresh paint color to lighten the walls and then extended the mirror all the way to the ceiling. 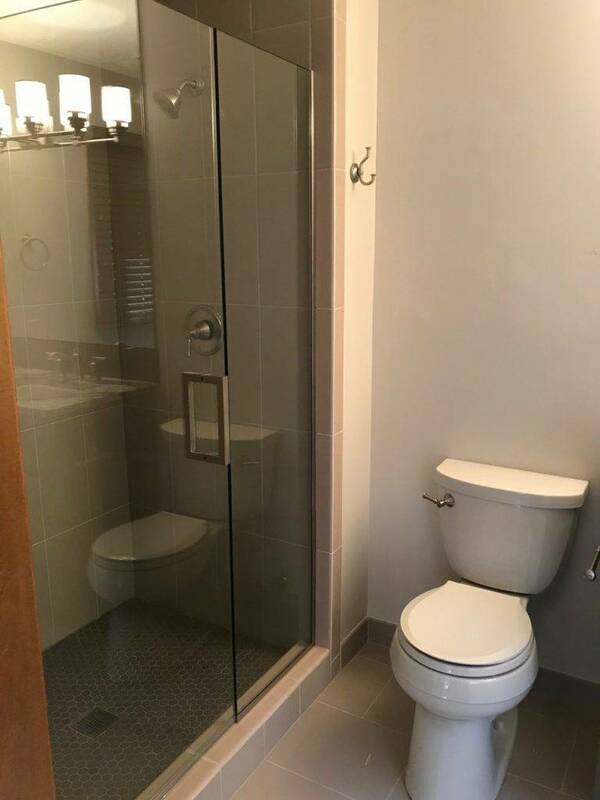 They continued expanding the space with a frameless clear glass shower door and took the tile from the bathroom floor out into the closet hallway. 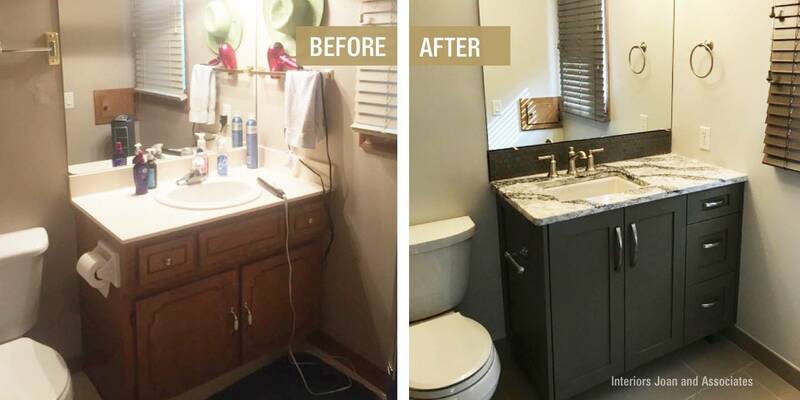 Then, they opted for a raised vanity cabinet in a deep, charcoal tone to contrast with the lighter paint color. 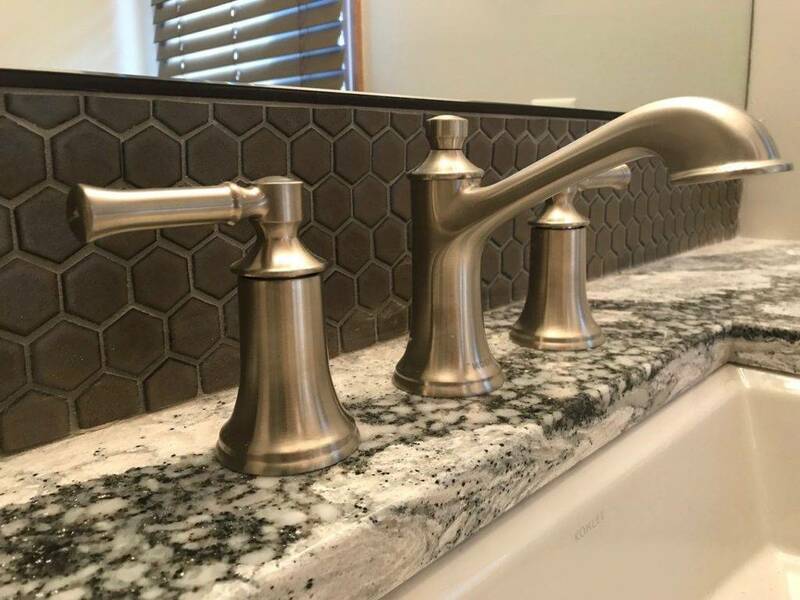 For tile, they chose a metallic bronze hex tile as the backsplash and shower floor, and brushed nickel accents appear throughout. Finally, the quartz countertop brought all the tones together with the lighter background and darker veining with metallic flecks. 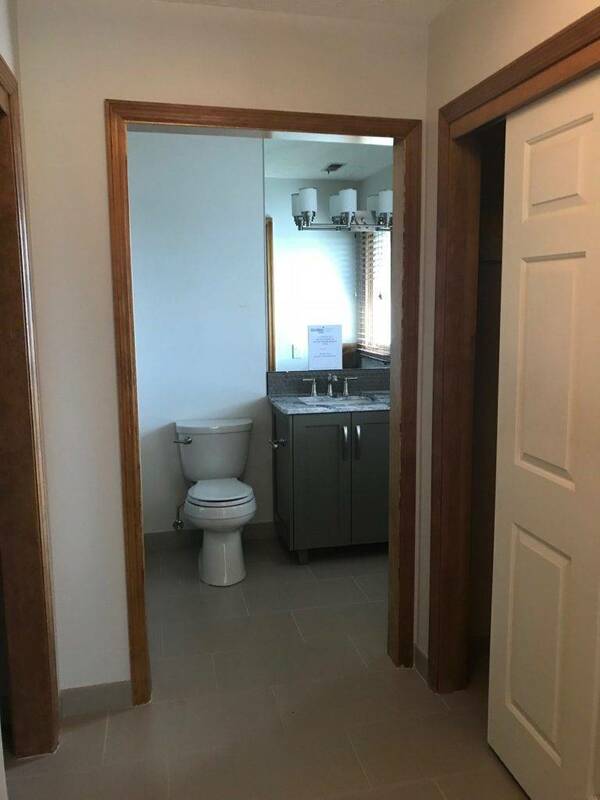 Thinking of remodeling? Call us for a consultation!